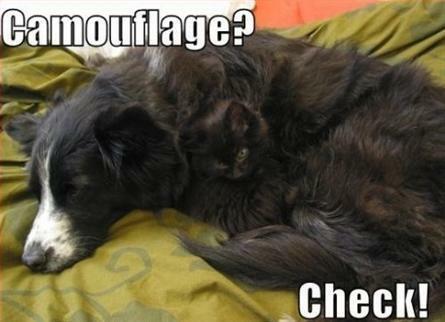 Do you see the camouflaged kitty? I didn't at first either. Look again, harder. Do you see it now?